Download the Golf Club of Estrella mobile app to enhance your experience. Mobile apps contain many features like scorecard, GPS, tee times, news, deals and more! Click on the icons for more information and free download. Golf Club of Estrella boasts the first daily fee golf course designed by Jack Nicklaus II in Phoenix, Arizona. Located in the stunning master planned community of Estrella, this 18 hole, par-72 championship Phoenix-area golf course covers a distinctive 7,102 yards. Golfers will come away impressed from this challenging course that offers multiple tees to accommodate all playing levels. Golfers will find variety with several shots over natural desert and wash areas. Golf Club of Estrella features spectacular views with emerald fairways that blanket the natural contours of the land with a backdrop of the beautiful Sierra Estrella Mountains. You will be treated like a member of a private club with the exceptional service golfers have come to expect from a Troon Golf-managed facility. We invite you to discover this classic golf course and reserve your tee times at the Golf Club of Estrella online. Please call 623-386-2600 for current rates. 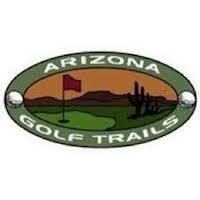 Call 623-386-2600 for rates and tee times. Tee Times may be booked up to 90 days in advance. Contact Golf Club of Estrella at 623-386-2600 for more information and details on holding a golf outing at the course. Contact Golf Club of Estrella at 623-386-2600. Contact Golf Club of Estrella at 623-386-2600 for onsite or nearby dining options. This profile was last updated on 04/19/2016 and has been viewed 16,091 times.